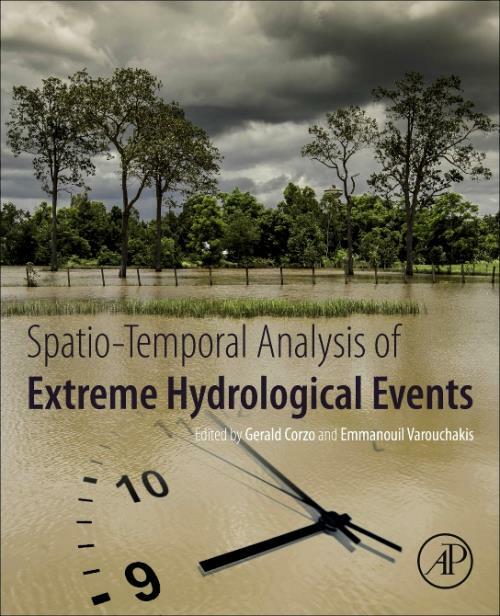 Spatio-temporal Analysis of Extreme Hydrological Events offers an extensive view of the experiences and applications of the latest developments and methodologies for analyzing and understanding extreme environmental and hydrological events. The book addresses the topic using spatio-temporal methods, such as space-time geostatistics, machine learning, statistical theory, hydrological modelling, neural network and evolutionary algorithms. This important resource for both hydrologists and statisticians interested in the framework of spatial and temporal analysis of hydrological events will provide users with an enhanced understanding of the relationship between magnitude, dynamics and the probability of extreme hydrological events. Dr. Emmanouil Varouchakis is an Instructor/Researcher at the School of Environmental Engineering, Technical University of Crete, Greece. He holds a PhD in Geo-technology and the Environment-Spatiotemporal Geostatistics from the Technical University of Crete. Since 2013 he teaches the courses ''Introduction to Geostatistics'', ''Applied Geostatistics'' and ''Environmental Risk Analysis'' at the Schools of Environmental and Mineral Resources Engineering. He has published several research articles in international journals and he has presented his research findings in international conferences. In 2015 he has been awarded the Natural Resources Research grant award by the International Association of Mathematical Geosciences for his research work entitled ''A Bayesian space-time geostatistical model for groundwater level variability estimation''.